They are slimy, sluggish,small and slow ...but a MUST have June Pin cushion!! Geesh its June already!! Lots of you are probably outside gardening and doing some yard work!! I thought it was only fitting to have a snail pin cushion this month!! I know I found some of these in my yard....yuck!!! Only they are much cuter made with fabric! I guess I'll keep him! :) Kits are limited so come grab yours quick!! For those of you who have been waiting on the order of knits, THERE HERE!! 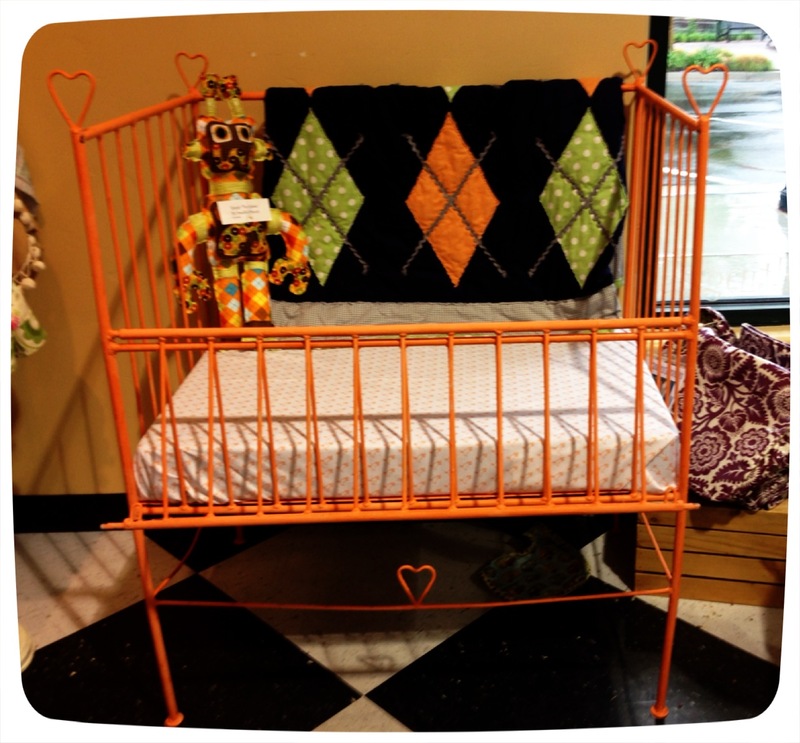 !Don't wait too long to come in and check them out, we sold out in last week!! It seems like every one is making skirts for Summer!!! I can't wait to see you!!! Here is our segment from Fresh Living today!! 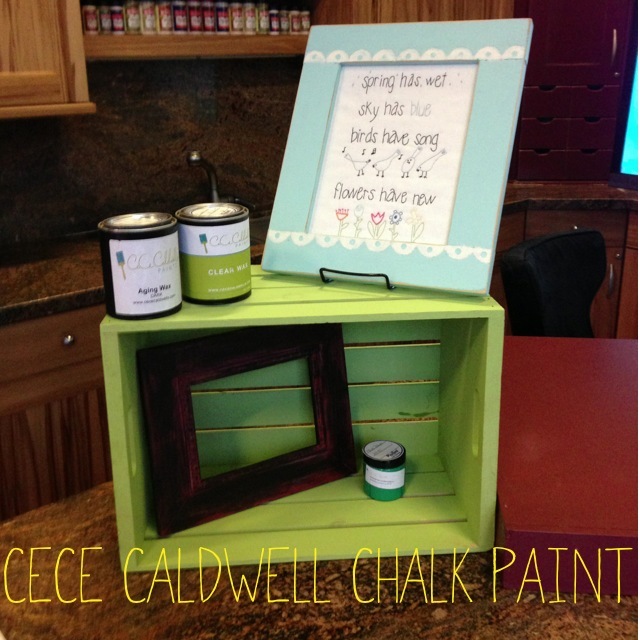 We will be stocking CeCe Caldwell chalk paint in the shop now. We are so excited for this!! Thanks Fresh Living for having us on!! Tune in tomorrow May 20th @ 1:00 pm on KUTV Channel 2. 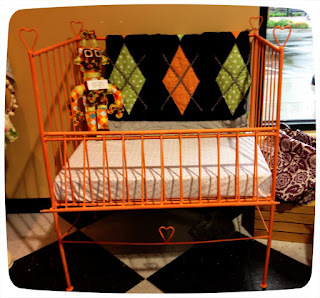 We will be sharing the craft segment with Debbie and Casey on Fresh Living! Well, it is time to announce our winner!!!! Comment number 10..., Jeanine. You win one yard of our solid color of knit. Congratulations!!! Call or stop by the shop to claim your prize!!! 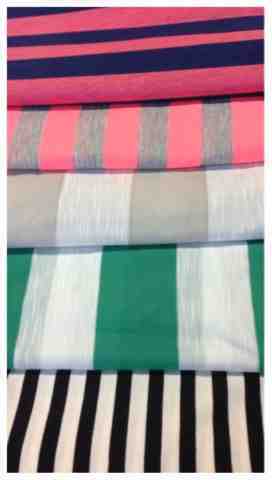 I'm giving one lucky follower of our blog one yard of our solid knit fabric! Become a follower by clicking on the become a follower in the left hand corner, leave comment on what you would make and I will choose a winner on Friday the 17th. 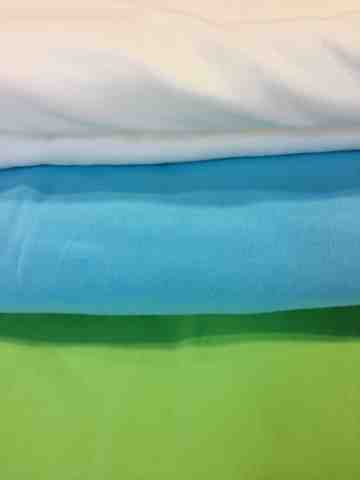 We just can't seem to keep our knit fabrics in stock! We received a shipment today, it wasn't a complete order but the rest are coming. 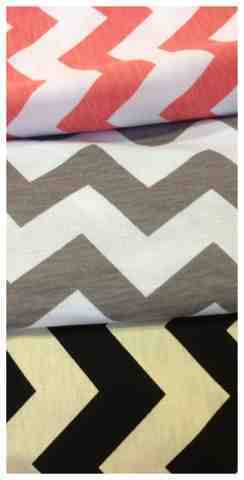 Lots of great stripes and chevrons! I have to tell you that the girls at the shop have me pegged for starting stuff and not finishing, what? Seriously? 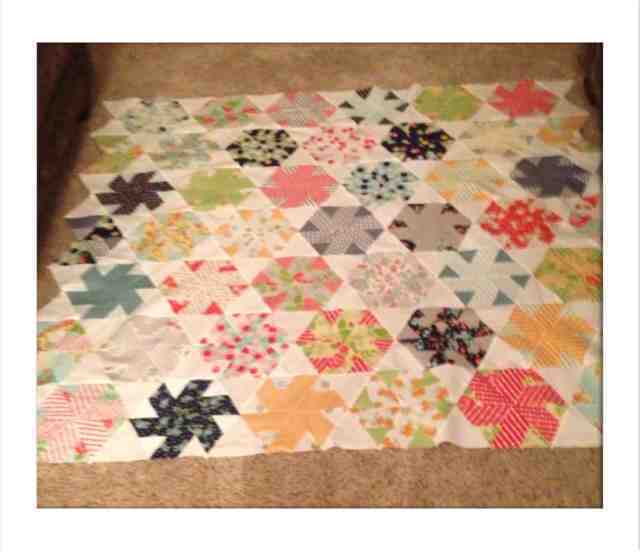 So, Dana decided to throw out a bet that I wouldn't finish this quilt, it's made out of Happy go Lucky precuts. I had till 12:01 Sunday night, and what do you know? Yep! Finished! It still needs borders but the yardage isn't here yet. Can't wait for my pedicure..., thanks Dana! Off to start a new project! 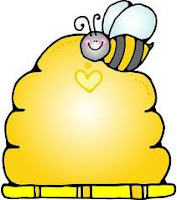 Bee Hive Shop Hop Summer News!! Have you heard the details? When: June 11-15th (Tuesday through Saturday) Check each store for hours of operation. 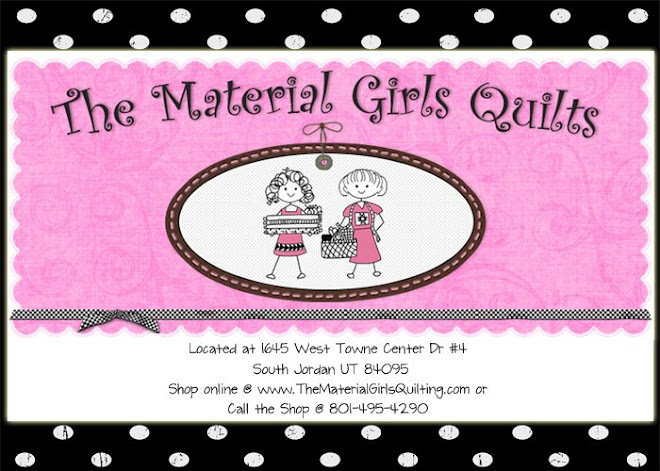 Who: 18 fantastic shops along the Wasatch Front! *Free 9” inch block at each shop, with a kit available for the block, or the project they have done using that block!! Oh, finally I come up for some air!! The girls and I have been busy designing some original patterns for the shop, new quilts, table runners and stitcheries galore. I can't wait to show you. Stay tuned I will try and get them posted this week!! And don't forget to mark your calendars for the Summer Buzz happening June 11 through the 15th. Lots of exciting things to come!!! I apologize, I have been a lameo blogger lately. I have company (my cousin) coming at the end of May from England, and I have been trying to clear out some of my "STUFF" I didn't want my family to think I might possibly having hoarding issues! Which between Shelby and I we might just have our toe on the line. 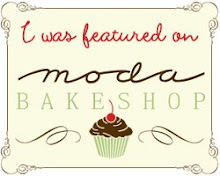 Sooo, with that being said I am back to my regularly scheduled blogging and Facebooking. I am so excited to tell you that we will be carrying CeCe Caldwell chalk paint and I will be posting a fun tutorial soon!! !